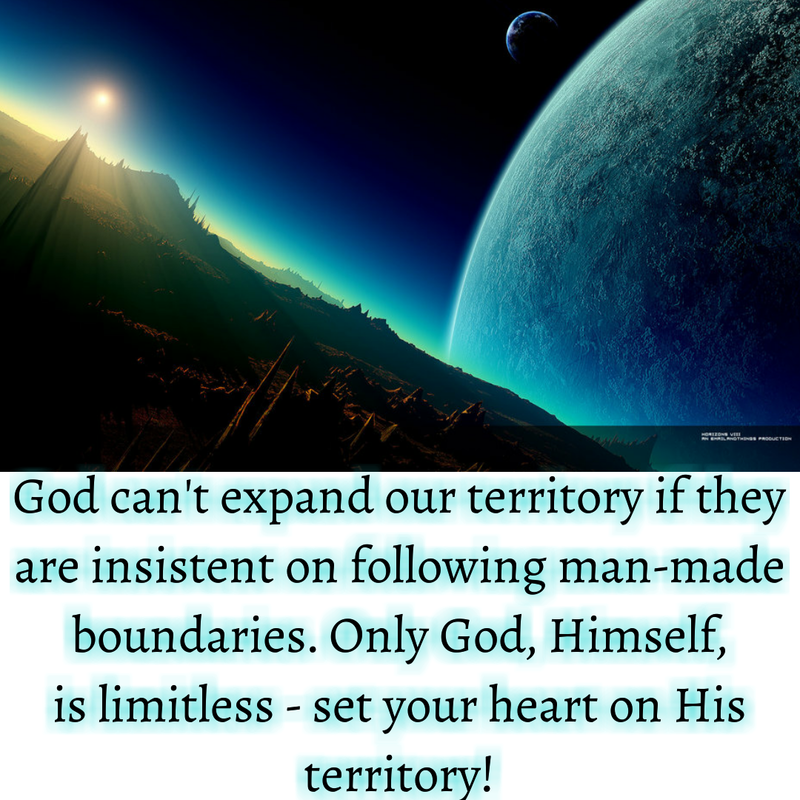 Jabez called on the God of Israel: “Please bless me by enlarging my territory. May Your Hand be with me! Keep me from harm, so that it will not cause me pain.” God granted his request. God promised us the whole earth! He made the whole planet for us! Now take the perspective that the enemy has slowly reduced us to. Look at the map of Israel, The one with the largest borders, where God promised the nation. This tiny slice of land is roughly 1/100000th of the whole earth! Now I’m not saying what God promised Israel is insignificant, but look at Jabez’s prayer, God granted his request! Why? Because Jabez saw that God offers far more than we can ask for or imagine, He wanted all God has to offer! Don’t you? 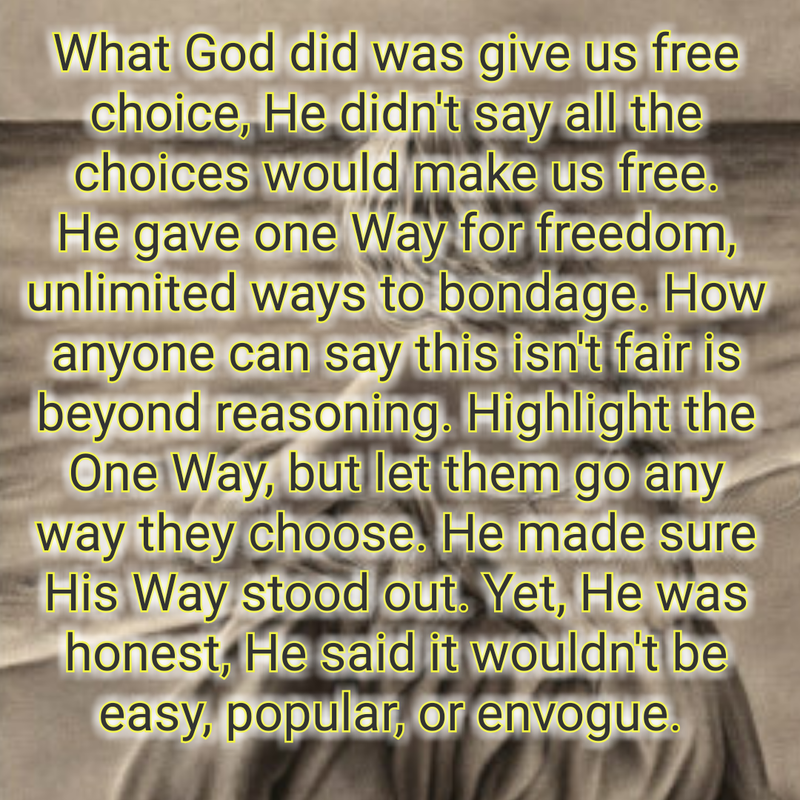 He wanted us to choose Him, knowing all the other choices. Or not, choose Him. He thinks it’s far more important to have us, than to start over, taking all the other choices away, which would eliminate human kind made in His Image. He has no plan B, and will settle for nothing less than His original plan, us – humans and Him as a family He desired, with those of His host in heaven. This is why freedom of choice is such an amazing thing given to us by God! It involves letting us be able to choose very evil and awful things – yes – but also the best He has to offer! Which brings me to my next point. In order for us to have access to all God has to offer us, we must be rid of anything and everything that would place God’s all and put it in a container. Labels are good for things, not people. When we go to the store, labels help us define one thing from another. When we walk through life, labels on people close the doors to what God is doing and will do. We are central to God’s plan, this is why Yeshua took the label making question: “who is my neighbor?” and turned it on its head. Humans are our neighbor! Every shape, size, color, nation! 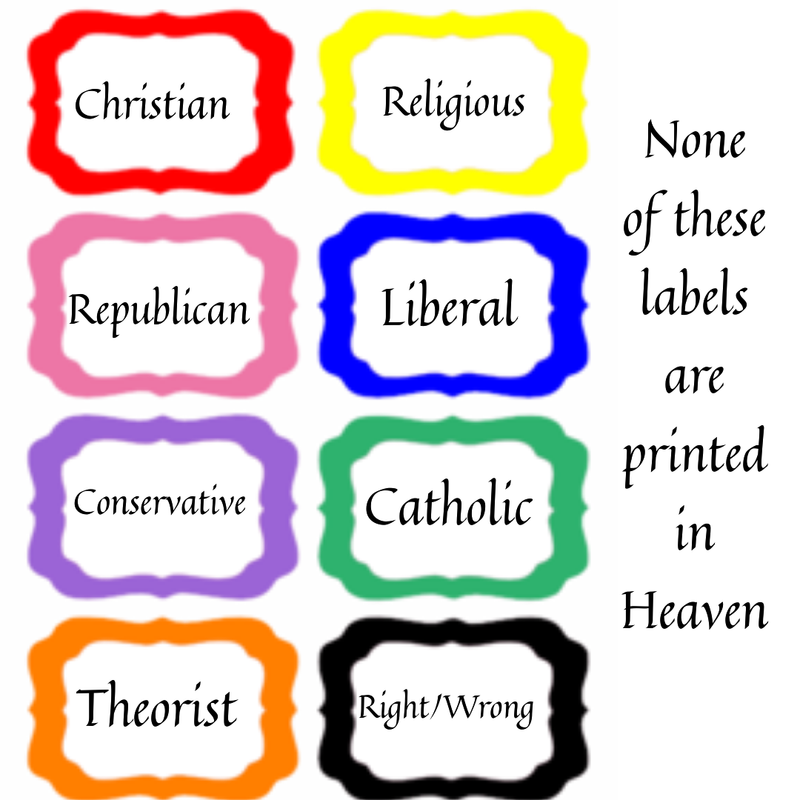 There is only one ‘label’ for *God’s children and I just said *it. Hence why we are instructed by Yeshua to love our human ‘enemies’. To do good to those who hurt us. Not to be confused with His enemies! Today’s world puts such labels on people’s. Can you honestly say that all that can be found throughout history about the label “Christian” is what you want to limit your walk with God – THE MESSIAH (which means Christ, where the term Christian came from) to? Most labels start out well meaning, AA (Alcoholics Anonymous) for example: this was a spiritual revival, started by men of God to reach a certain sector of people, trapped by the enemy of God by the poison of alcohol. The principles it was founded on were/are straight from God’s Word, the intent for which God inspired it was freedom. Yet now, it hardly resembles what it started out like. Man was led astray by the enemy of God who, as He does everything God makes originally, twist it by the causing doubt in/of God. So now, just chose your higher power, door nob, teddy bear, flower, anything, you’ll get sober! It’s sickening! Why would any of these things require accountability of action, they are inanimate objects! Likewise, being called a Christian used to stand for nothing but a follower of Christ, but throughout history, ‘Christians’ have followed the anti-Christ doing nothing that resembles Yeshua whatsoever! So when we choose – we best just choose God, the God of the Bible, of Abraham, Isaac, and Jacob, we can place many other names from that Word from which He has named Himself, but anything other than this, we stand to limit what we can know of Him, do because of Him and claim that He said is ours! We must understand that freedom of choice, does not mean we should make up our own choices. If we claim to be a child of God, we best reconsider any label we have assigned ourselves with. Catholic, Luthern, Baptist, evangelical, Calvinism, Republican, Constitutionalist, Democrat, conservative, traditionalist and the list goes on. 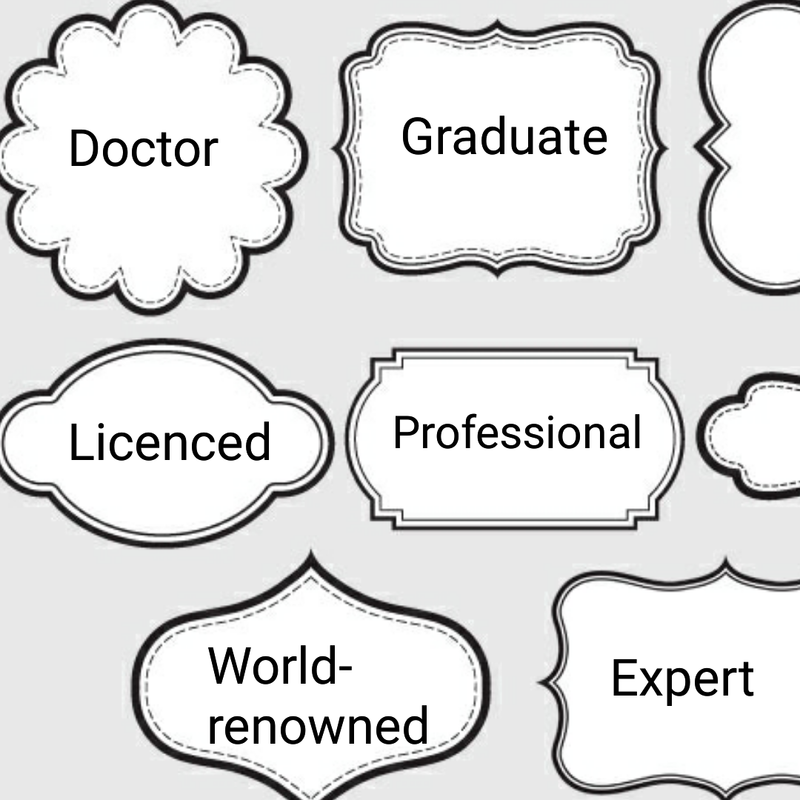 Given a true study into any of these labels will prove to show where they all inevitably vere from the Truth the whole Truth and nothing but the Truth as defined by God. The enemy invades and has access to do so with anything man decides they can “hang their hat on” as a labeled sect of people. Have you ever wondered why God hated censuses? Is makes a number out of a person, the enemy of God loves to count his sheep, Hitler labeled his prisoners this way. God doesn’t need to count, He makes them part of who He IS! You and I are special, unique and wonderful, just because He made us. This takes the value of any label you or I could attach to our value and throws it into the pit of hell! The saying: “the road to hell is paved with good intentions” is so true. These ‘good intentions’ are the stuff made up of what man calls good. The perspective must change for something to truly be good. That perspective must be God’s! Since we know our ways are not like His, our thoughts, not like His, it stands as true logic that before we call something good or innocent we might check in with Him first. Good and bad are labels too! We say, “that person is a good person. Or bad person.” Achhhem – we may want to ask Adonai about that! Most especially are we in danger if we label ourselves in such a way! Good according to God is functional. Bad is dysfunctional. This changes everything when taken from His perspective, and when we consult Him, we find our knowledge expands even more in definition making and it’s dangers. Knowledge, the quest for knowledge alone is the enemy of God’s number one temptation. God’s knowledge leads us to Himself, which gives growth to humility, not pride or confidence in ourselves. Labels classify so we can decide who we think is worthy of our prayers, attention, time, effort, etc. It’s best to side with God, and leave the fighting up to Him as to who needs to be ‘rearranged’ or not. He gives us judgement, the ability to assess and act on something, for our actions and thoughts alone! Not for everyone or anyone else. We may be told to steer clear of someone by God, but that gives no permission to judge them. We just obey, pray for them, love them as best as He directs us from a distance. I will wrap this up with a list of scriptures, that hopefully will be seen from a whole new perspective given what has been said so far. Then, as always, study, and consult Adonai for anything of value to be gained from this post. I’m no “authority”, to say I’m inspired is only to speak to my passion for Yeshua. But not to say, these words are equal to the Inspired Word of God. I’m His child, I claim this as the gift He has made available to all. I’m unashamed to be called a follower of Yeshua the Messiah. I stumble and lose my balance in my learning to walk with Him, as anyone else. Yet, He covers my every word, move and being with His blood! What an honor the choosing of Him is! It’s so much easier to stay awake, be awake, knowing the value and limitlessness that God gives with choice. Adonai will establish you as a people separated out for Himself, as He has sworn to you – if you will observe the mitzvah (commands/instructions) of Adonai your God and follow His Ways. Then all the peoples on earth will see that Adonai’s Name, His presence, is with you; so that they will be afraid of you. Adonai will give you great abundance of good things – of the fruit of your body, the fruit of your livestock and the fruit of your land in the land Adonai swore to your ancestors to give you. Adonai will open for you His good treasure, the sky, to give your land it’s rain at the right seasons and to bless everything you undertake. You will lend to many nations and not borrow; Adonai will make you the head and not the tail; and you will be only above, never below – if you listen to, observe and obey the mitzvot of Adonai your God and not turn away from any of the words I am ordering you today, neither to the right or the left, to follow after other gods and serve them. I call heaven and earth to witness against you today that I have presented you with life and death the blessing and the curse. Therefore, choose life, so that you will live, you and your descendants, loving Adonai your God, paying attention to what He says and clinging to Him – for that is the purpose to your life! For your husband is your Maker, Adonai-Tzva’ot is His Name. The Holy One of Israel is your Redeemer. He will be called the God of all the earth. Human being, you have already been told what is good, what Adonai demands of you – no more than to act justly, love grace, and walk in purity with your God. Bring the whole tenth into the storehouse, so that there will be food in My house, and put Me to the test, says Adonai-Tzva’ot. See if I won’t open for you the floodgates of heaven and pour out for you blessing far beyond your needs. Just as a father has compassion on his children, Adonai has compassion on those who fear Him. The blessings of Adonai is what makes people rich, and He doesn’t mix sorrow with it. The kings heart in Adonai’s hand is like streams of water – He directs it wherever He pleases. Seek Adonai and His strength; always seek His presence. How blessed are the poor in spirit! For the Kingdom of heaven is theirs. How blessed are those who mourn! For they will be comforted. How blessed are the meek! For they will inherit the Land! How blessed are those who hunger and thirst for righteousness! For they will be filled. How blessed are those who show mercy! For they will be shown mercy. How blessed are the pure in heart! For they will see God. How blessed are those who make peace! For they will be called the sons of God. How blessed are those who are persecuted because they pursue righteousness! For the Kingdom of Heaven is theirs! I made Your Name known to them, and I will continue to make it known; so that the love with which You have loved Me may be in them, and I Myself may be united with them. So who will bring a charge against God’s chosen people? 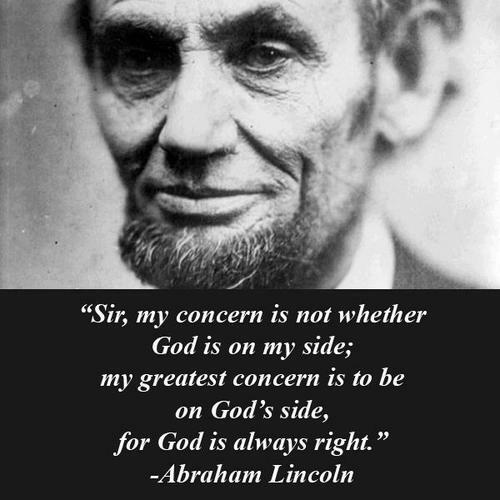 Certainly not God – He is the One who causes them to be considered righteous! Who punishes them? Certainly not the Messiah Yeshua, who died and – more than that – has been raised, is at the right hand of God and is actually pleading on our behalf! Who will separate us from the love of the Messiah? Trouble? Hardship? Persecution? Hunger? Poverty? Danger? War? As the Tanakh puts it, ” For Your sake we are being put to death all day long, we are considered to be sheep to be slaughtered.” No, in all these things we are superconguerors, through the One who has loved us. For I am convinced that neither death nor life, neither angels nor other heavenly rulers, neither what exists nor what is coming, neither powers above nor powers below, nor any other created thing will be able to separate us from the love of God which comes to us through the Messiah Yeshua, our Lord. Praised be Adonai, Father of our Lord Yeshua the Messiah, who in the Messiah has blessed us with every spiritual blessing in heaven. Now to Him who by His power working in us is able to do far beyond anything we can ask or imagine, to Him be the glory in the Messianic Community and in the Messiah Yeshua from generation to generation forever. Amen.